The Food Alphabet and More: Wingstop Flavor Revolution is on! Win P2,000 worth of Wingstop GC's weekly! 1. Follow Wingstop on Facebook and Instagram. 2. Upload your photo enjoying your favorite Wingstop chicken wings with a creative caption. 3. Don’t forget to tag @wingsstopph and include the hashtag #WingstopFlavorRevolution so we can see your entries. Post as many entries as you like! 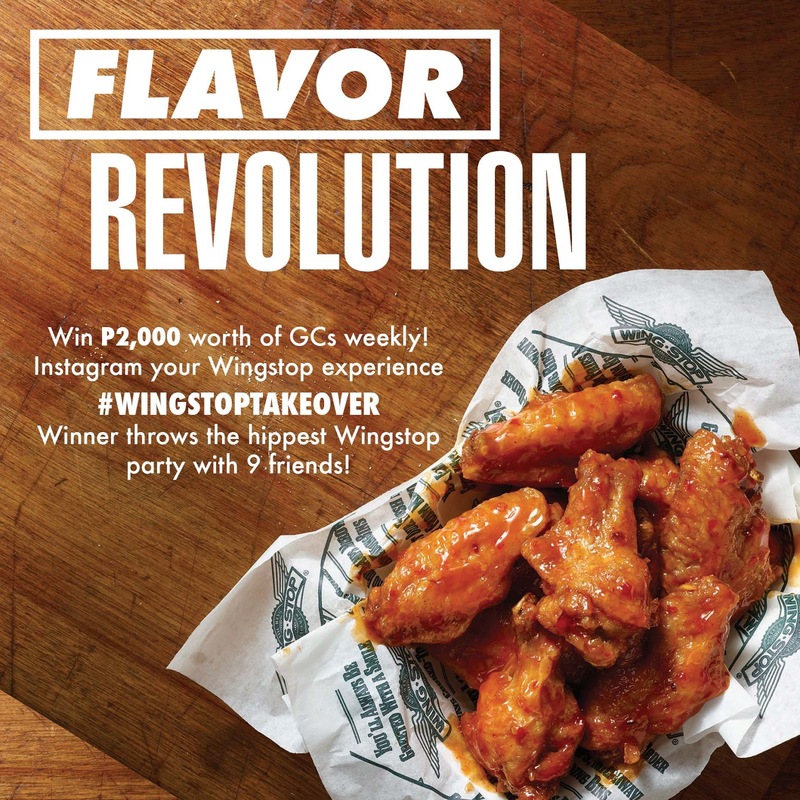 One winner will be chosen weekly by Wingstop to get P2,000 worth of Wingstop gift certificates, and if your post gets chosen as the best photo after a two-month period, you will get a Wingstop Flavor Revolution Party for you and nine of your friends! Join up and win yourself some Wingstop GCs or better yet a Wingstop party for you and your friends! See you at Wingstop!